Some of my favourite moments from weddings gone by come from getting the chance to see some of their pre-wedding plans come into fruition and be captured on film during their event. I hope you'll enjoy seeing some of our little details as much as I've loved seeing them in the past. 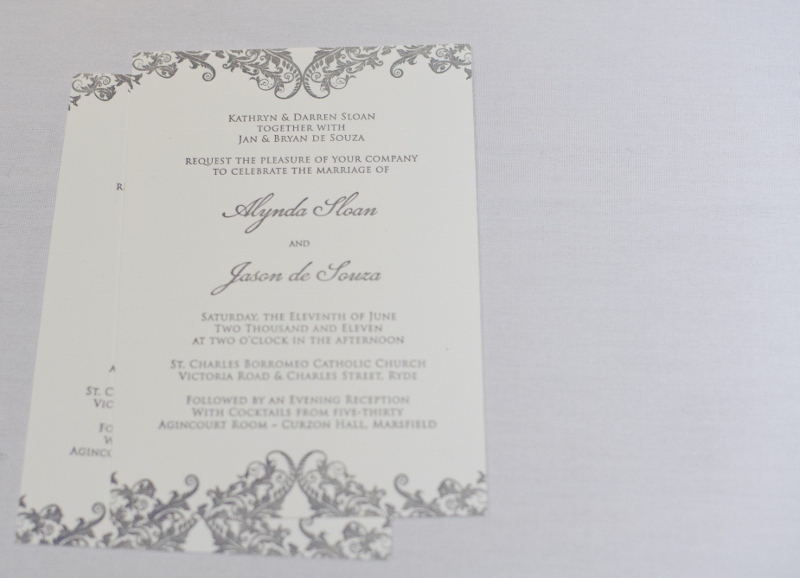 Let's begin with a snapshot of our invitations - which I am still lusting over as the months go by, because omg, the paper. So soft. So textured. Swoon! 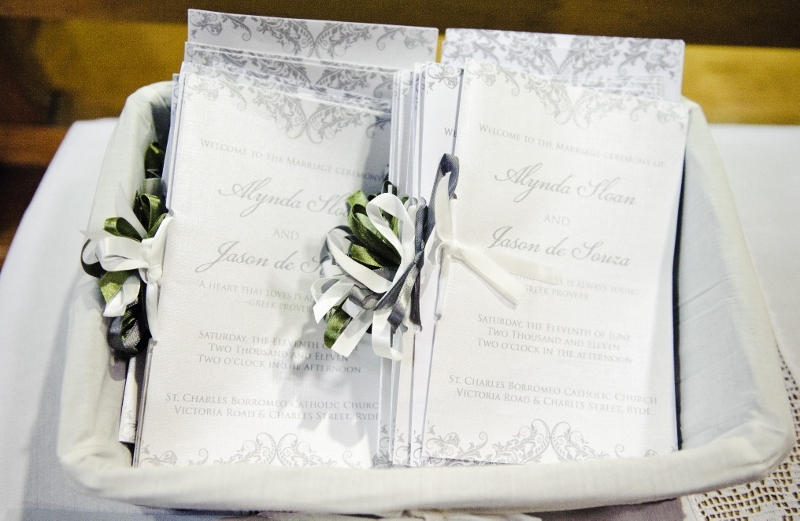 To match the invitations and our grey, green and ivory colour scheme, I created (& had help assembling) our home-made wedding programs for the church ceremony. I love how they turned out. 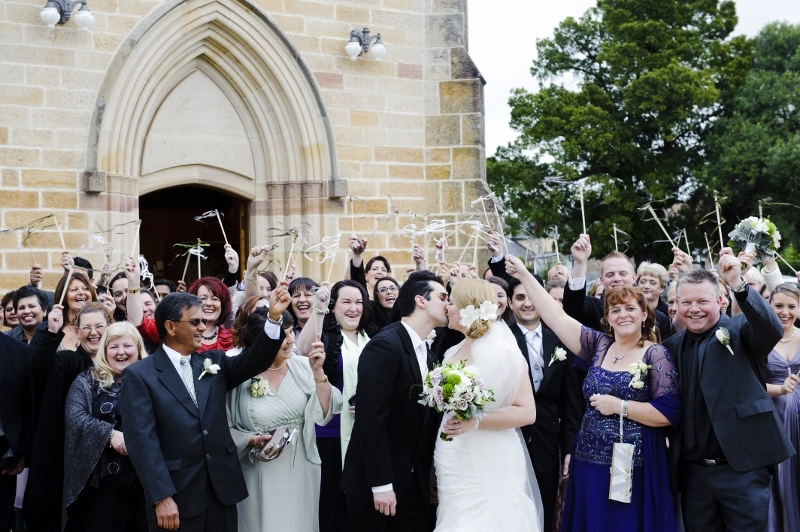 While we're still talking about the ceremony, there were our lovely ribbon wands which you've already seen in all of our church exiting images. 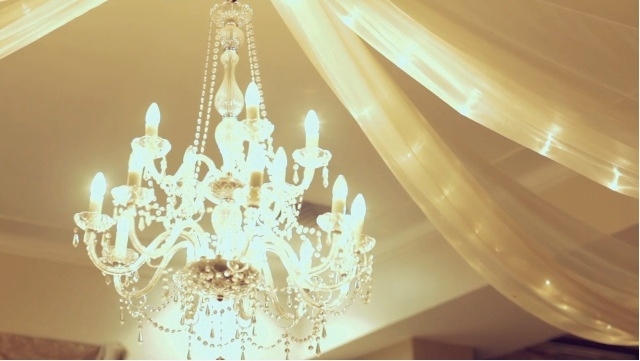 As for our reception venue, well, the room itself looked amazing. 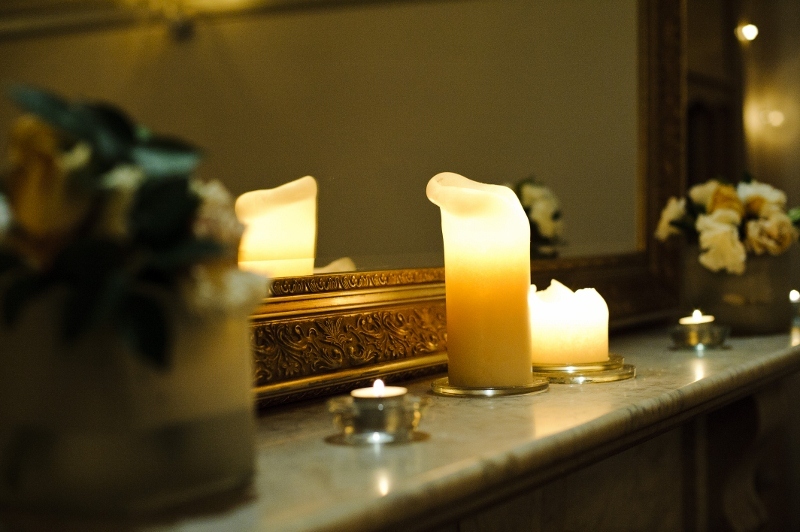 One of my main wedding goals was for our wedding space to be filled with candles. I stocked up on mini votives and tealights from Ikea and made sure they were scattered all over the place. Added to the already very-pretty room, they ensured it was literally glowing. 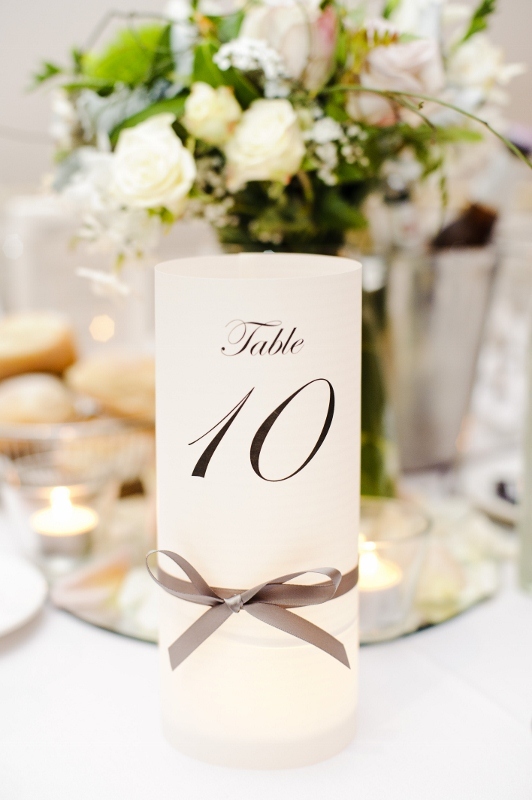 I elected to have the chiavari chairs provided by our venue decorated with a simple and sheer organza ivory sash. 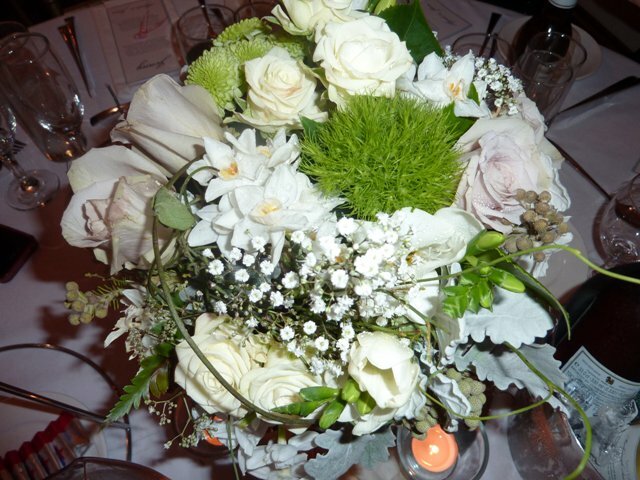 The tables were round, kept simple with ivory linen tablecloths and decorated with a simple low-lying floral arrangement (made to match our bouquets) which sat on a mirrored plate with even more candles. Our table number lumies looked amazing, if I may say so myself! 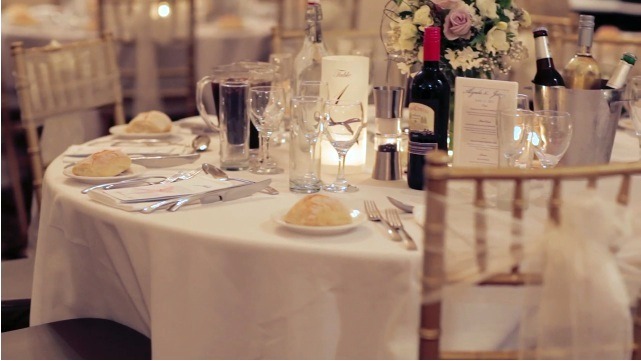 They lit up each table, since each was placed over a small candle. 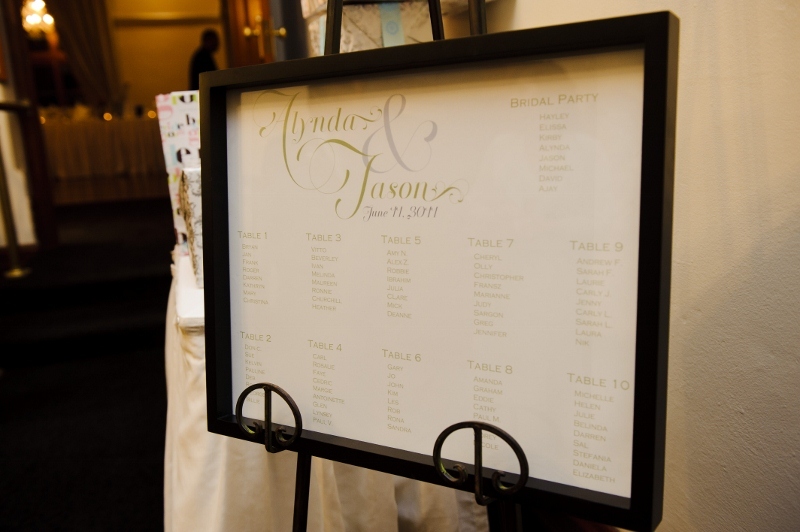 The table menus also turned out great; these were the ones I'd created using the Ikea Tolby frames (for $1 a pop!) 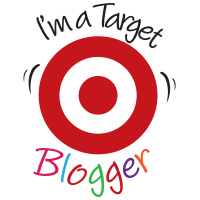 & a little Microsoft Publisher action. 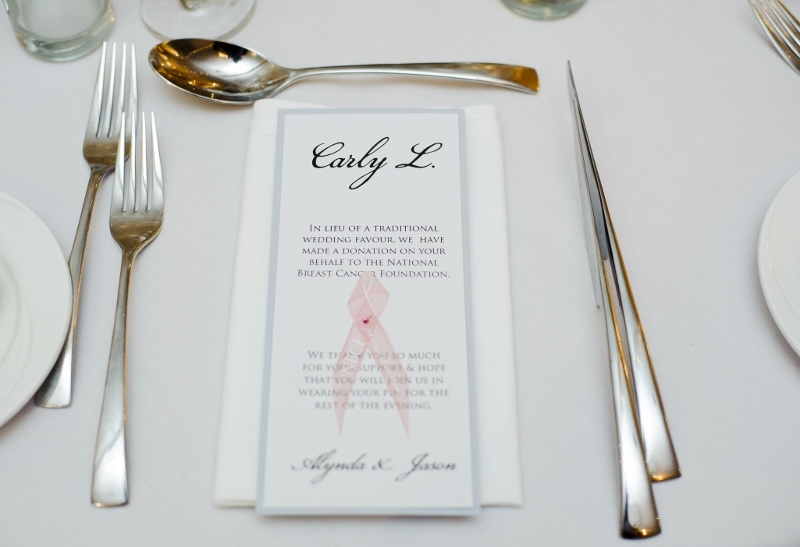 The last thing set up on each table was our charity favour pins, which also doubled as place cards. We were thrilled to see our guests wearing theirs throughout the evening. 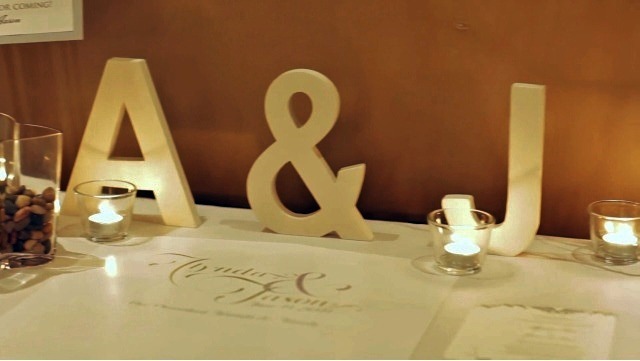 Our venue wanted our guestbook table to be outside of the main function room, but we had plenty of space so I insisted it stayed inside. I wanted as many guests as possible to visit it and use it throughout the night. 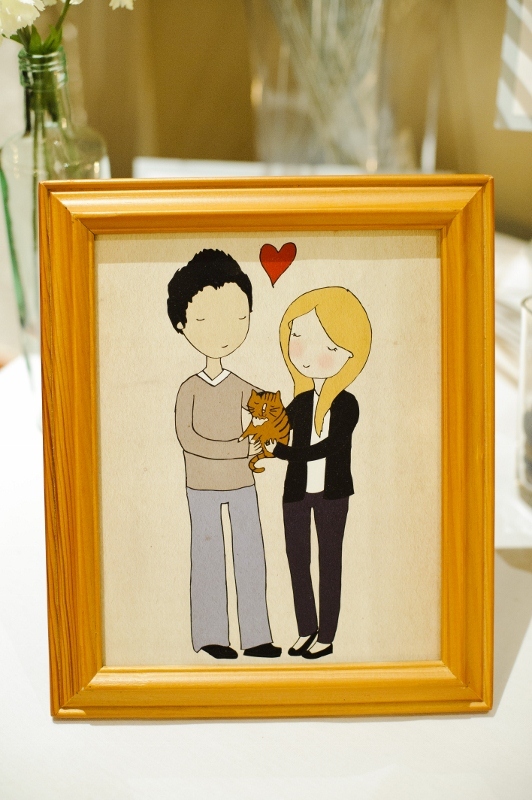 I made sure I had brought my favourite artistic portrait along from our little apartment - my way of incorporating Oscar-kitty into our wedding day. The lovely Mrs. Gloss hooked me up with a fantastic scroll for our guests to sign, which turned out amazing. You can see it fairly clearly here. 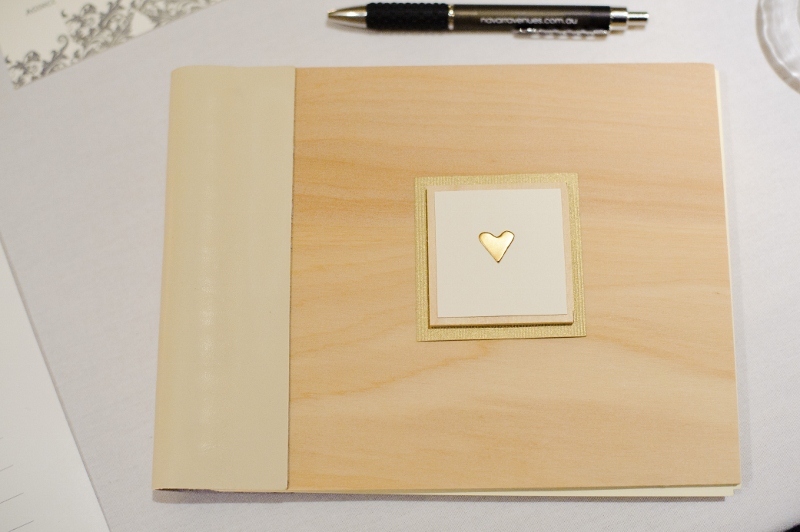 I paired that with a plain guestbook style album for the more traditional older guests who wanted to leave a message. To match the guest scroll, Mrs. Meerkat created a poster to help our guests locate their tables. I ran around like a mad-woman the week before the wedding, trying to find the right sized shadow frame to match. It turned out really great! If there's one thing I'm grateful for throughout my time spent blogging for Weddingbee, it's the generous and helpful spirit of my online wedding friends. You've seen the fantastic graphics that Mrs. 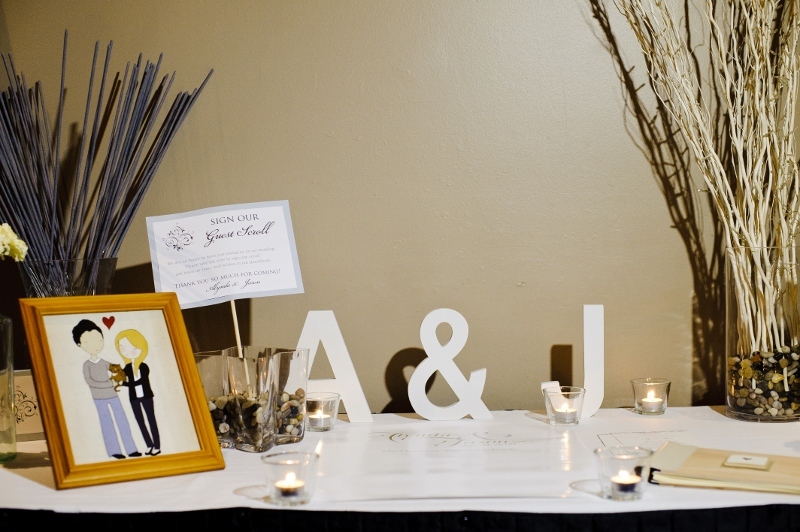 Gloss and Mrs. Meerkat helped create for our wedding day, and it didn't stop there. There were the Bee charms, also shipped lovingly to Sydney from Mrs. Meerkat to be sewn on to my bouquet. There was my 'Something Borrowed' from Mrs. French Fries; her beautiful cathedral length veil that I wore for our wedding ceremony. But there was one other borrowed item from a Bee that didn't quite make it into our wedding day, not for lack of trying. One of my many, many favourite Bee weddings was that of Mrs. French Bulldog; I'd been swooning over her birdie theme for the longest of times. 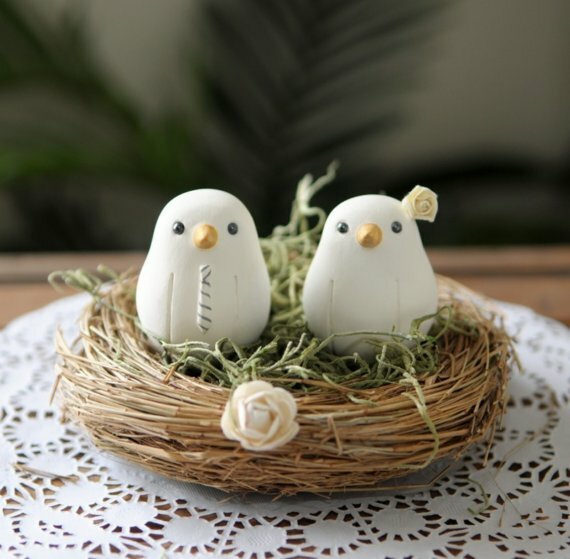 Well, she offered to loan me some of her gorgeous lovebirds, shipped them all the way to Sydney town and got them all ready to go on the side of our cake. Until, that is, the venue forgot to put them on. Sigh. No birdies for us. Turns out that they'd forgotten to put them on Mrs. Frenchie's cake, too. They just weren't meant to be! 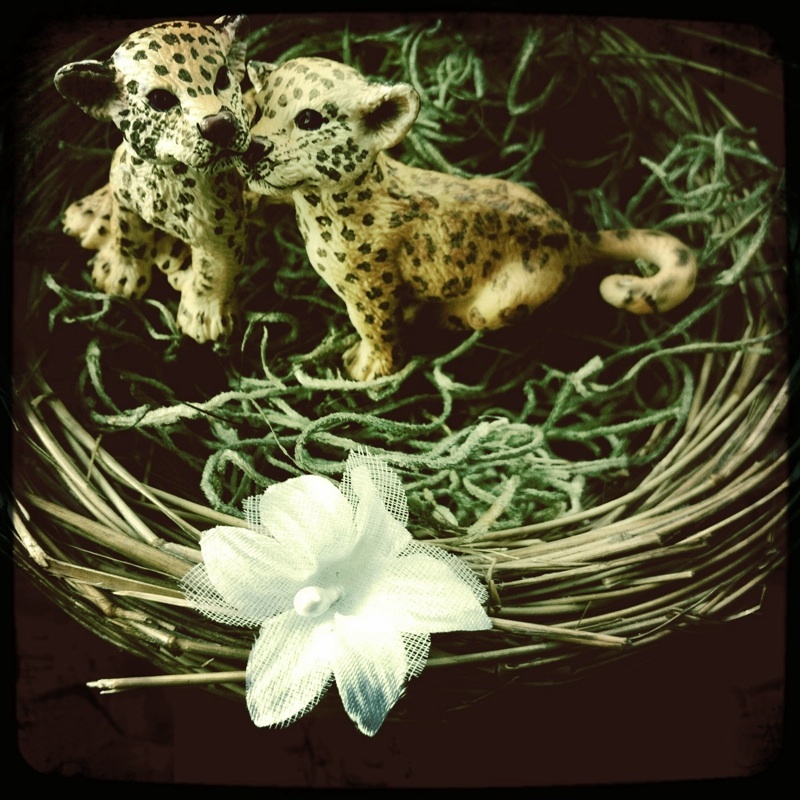 While the birds never did get their chance in the spotlight on our wedding cake, I did manage to snap a photo of my wee Jaguars in their nest for good measure. The thought was there! 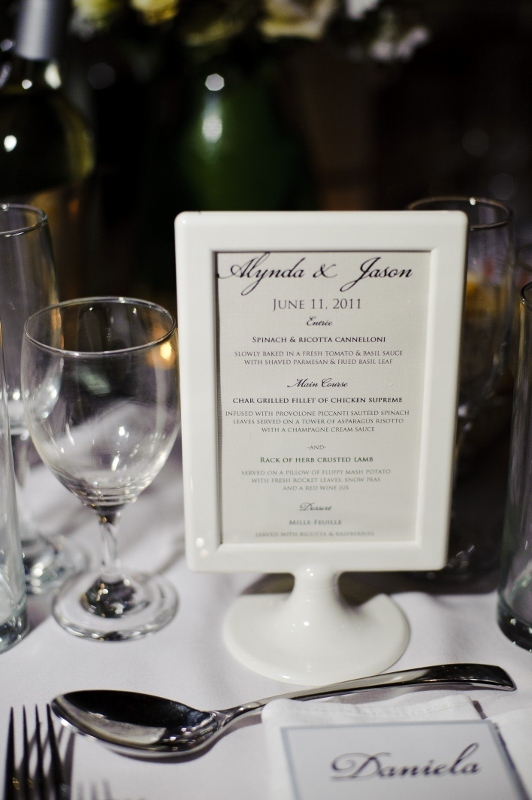 Did you incorporate any 'Something Borrowed's into your wedding day? 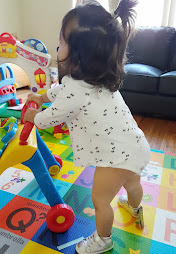 This entry was posted on 06:00 and is filed under All Things Wedding , Weddingbee Recaps . You can follow any responses to this entry through the RSS 2.0 feed. You can leave a response, or trackback from your own site. ahem... IIIIIII took that jaguar picture thankyouverymuch! seriously, all of these details are gorgeous and so cute!! love love it all.